I’m delighted to be giving a public lecture at the renowned George Eastman House on Saturday 9th November. The lecture is part of the Museum’s Wish You Were Here series. The Wish You Were Here photography lecture series features renowned photographers sharing images and stories that invite you to explore new destinations or revisit favorite ones. 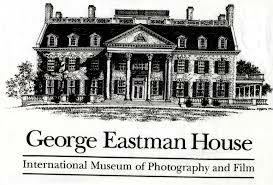 Lectures are held in the Dryden Theatre at George Eastman House. Admission is $6 ($3 students), free for members. Artists will sign their books following the lectures. Books are available in the Eastman House Store. Wish You Were Here is generously supported by museum member Thomas N. Tischer. The lecture will be held in the Dryden Theatre at 2pm. Admission is $6 ($3 students), free for members. A book signing will take place afterwards.